Were falling into Fall. My favorite season. Pumpkin spice on everything. Let’s take advantage of these last couple weeks of amazingly mild weather. I hope you can join me for the BYOB (Bring Your Own Bike) option on Sunday! Same story as the last couple weeks with our Oly lifting EMOM here. If you are shooting for the ADV option and going across, make sure you start warming up early. 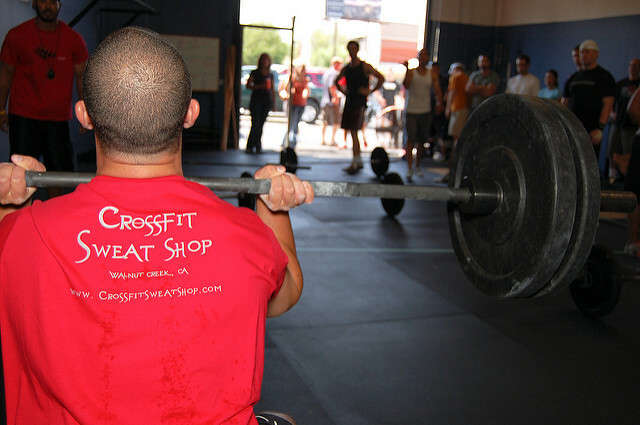 Even if it’s super light, you should be hitting some warmup sets before the WOD briefing. For the finisher, keep to that strict time cap. Because there is only one set of the pull/muscle up, if you want to go for the bigger challenge, feel free, just try to to be stuck on that movement for more than 3 minutes. I want this to be a fun challenge but still intense! The goal for this workout is to elicit some stamina across a pretty long time domain. For this workout, you’ll want to work moderately/hard through the buy-ins, and relaxed and methodical on the AMRAP. This ratio of work to rest is pretty big so please realize that 1 minute of rest isn’t a ton of time. You shouldn’t be redlining on the AMRAP. Try to choose a buy-in distance that you could do within 2:00-2:30. Everyone does both intervals 3 times, you will just be alternating the buy-in every set. One total AMRAP score, start where you left off. In addition to our gymnastics skills sessions, you can expect to see this time allotted to other necessary, functional, non-functional body building, accessory, and symmetry work as a starter. These movements, just like with our gymnastics stuff, should be done for quality and with a smooth tempo. Not for intensity. Ask the coach for help on these if you haven’t done them before. A little different than Tuesday’s conditioning focus, there is no rest on this workout workout. So we want you to be moving at a pace that we can keep consistent reps for 20 minutes without a huge drop off in any giving movement. The purpose for the short rest between the AMRAP is simply to recover the upper body. While this rest will help a little, if you struggle with either pullups or pushups, expect them to still be the limiter so pace it as best as you can to minimize the drop off. For today’s part B. ), the limiter will be the shoulder to overhead. The deadlifts should be the easiest part in most all of the levels but still pick a barbell that you can smash on both (3 quick sets or less). Obviously you don’t have to do the trail bike option. Just wanted to change it up. “Bring your own bike” Option: Sweat Shop to Heather Farms Pool and back on CCC trail. See map.